We are going on a private group tour of the NRK Broadcasting Company studios and facilities in Oslo. 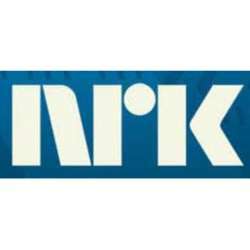 NRK is the Norwegian government-owned radio and television public broadcasting company, and the largest media organisation in Norway. NRK broadcasts three national TV channels and three national radio channels on DVB-T, cable, satellite, IPTV and DAB. It also runs several digital radio stations.